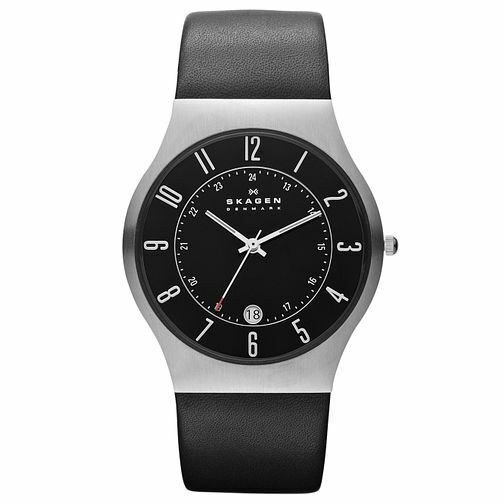 Discover distinctive Danish design with this smart leather strap watch by Skagen. Complete with stylish black dial and date window. Skagen Men's Black Dial Black Leather Strap Watch is rated 5.0 out of 5 by 2.